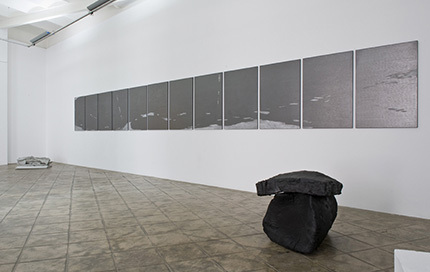 Map, Record, Picture, Sculpture presents a selection of works by four artists who approach their practice with an unavoidable preoccupation for materiality and process. Works that result from an action of arrangement and sedimentation and where the idea of the “handmade” is recovered. 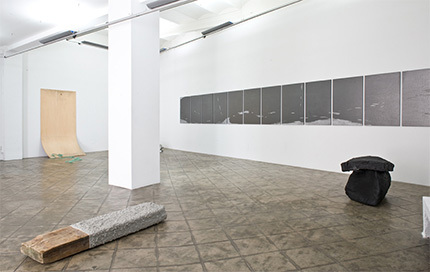 Notions such as landscape, mapping, the recording of a place or a time and the appropriation, the observation or the interaction with nature appear in the exhibition.